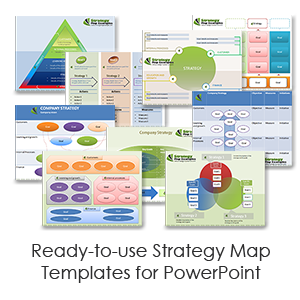 Review: The is a typical example of a simple strategy map which divides organization objective into four standard categories of a strategy map. 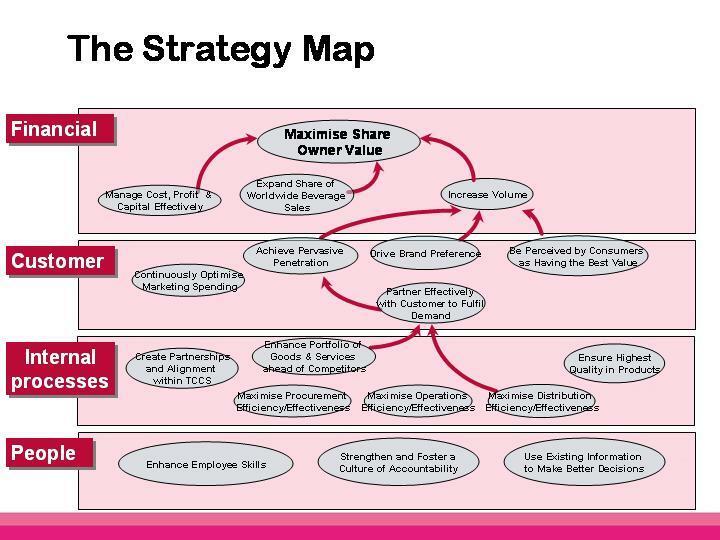 Final goal of the organization is to maximize the share values for the stakeholders. Owing to the efficient distribution of organization goals into small objectives and their integration is likely to help achieve the overall goal. Opportunities: Good strategy map for small organizations. This map can be used as a sample in small to medium scale organizations for building strategy maps. The internal processes have been explained explicitly and can be implemented in any organization. In terms of people or employees objectives, the strategy map is not very explicit and it needs more brainstorming to define objectives related to the people. 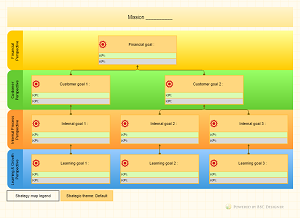 Result: A suitable strategy map for small scale companies with limited and unambiguous objectives. 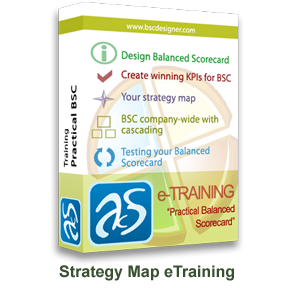 All the base 4 balance scorecard objectives have been well explained and are strictly relevant with the final goal of the company. People goals needs to be elaborated bit more; apart from that, it can be considered a good map overall.